The Marina district is known for its shopping, nightlife and stunning Bay views, but when it comes to low-end apartments, the area usually comes up short. To get a sense of what budget-minded apartment hunters can expect to find, we looked at listings for studios and 1-bedroom apartments in the area via Zumper. Here are the cheapest listings available in the Marina right now, but these prices and availability are subject to change. This 1-bedroom, 1-bathroom apartment at 1740 Beach St. is listed for $2,800/month. In the unit, anticipate hardwood flooring, stainless steel appliances and plenty of natural lighting. Building amenities include assigned parking and on-site laundry. Feline companions are welcome. 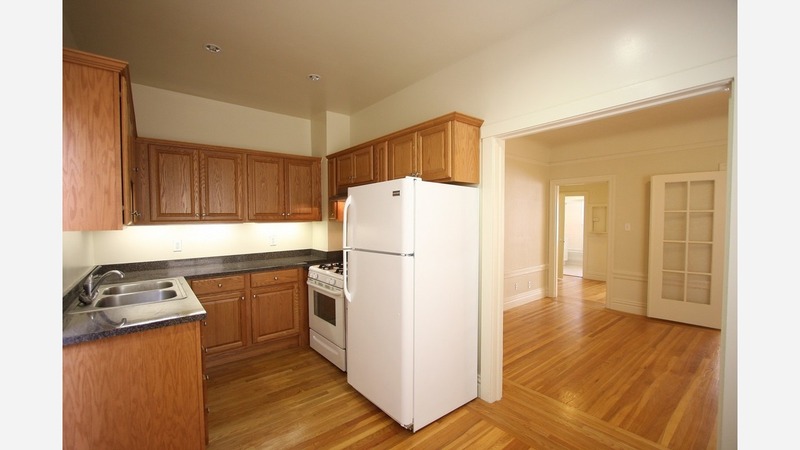 Here's a 1-bedroom, 1-bathroom unit at 2415 Van Ness Ave., which is going for $2,999/month. Building amenities include a roof deck, an elevator, on-site laundry and storage space. In the unit, look for hardwood floors, high ceilings, a dishwasher and an eat-in kitchen. Pets are not permitted. Then there's this apartment with one bedroom and one bathroom at 2755 Franklin St. listed at $3,150/month. In the unit, expect hardwood flooring, central heating, a walk-in closet and French double doors. Neither cats nor dogs are welcome. Building amenities include on-site laundry and a roof deck.